Chef is an upcoming Hindi film starring Saif Ali Khan in the titular role. It is a remake of Hollywood film Chef starring Jon Favreau, Scarlett Johannson and Robert Downey Junior. Hollywood Chef was released in 2014 and became a massively successful film given its humble budget. Saif Ali Khan starrer is directed by Raja Krishna Menon who has previously directed Airlift starring Akshay Kumar. 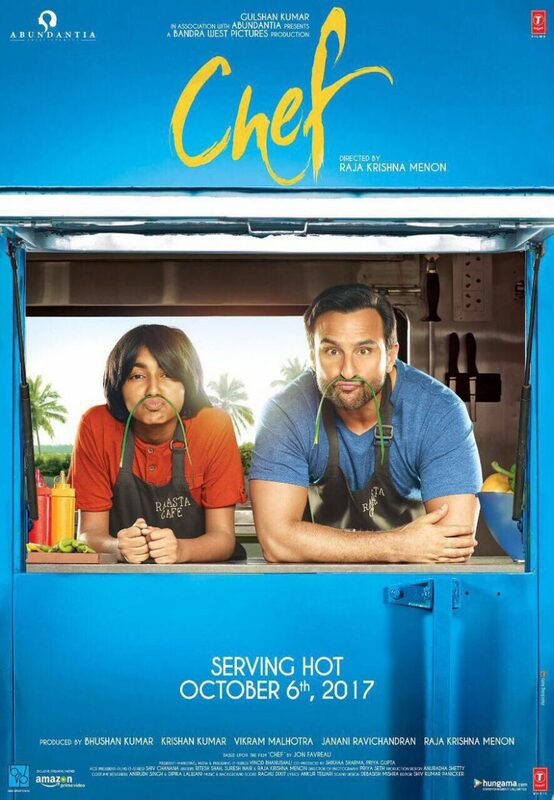 Saif Ali Khan is playing the role of a popular chef who is extremely emerged in work and hence gives less time to his child. Since the trailer resembled the hollywood film very much, it can be said that Saif is the perfect choice for the film. Saif always excels in the films which are cool and nuanced in nature with less proportions of melodrama. Raja Krishna Menon has proved his metal with the phenomenal success and acclaim for Airlift hence the expectations from Chef are sky-rocketing. Padmapriya who is playing the role of Saif’s wife is a popular actor down south and has done around 50 films in Telugu, Tamil and Malayalam language. She has previously played the character of Madhu in 2010 Hindi release Striker with another south Indian actor Siddharth. Chef is slated to release on 6 October, 2017.